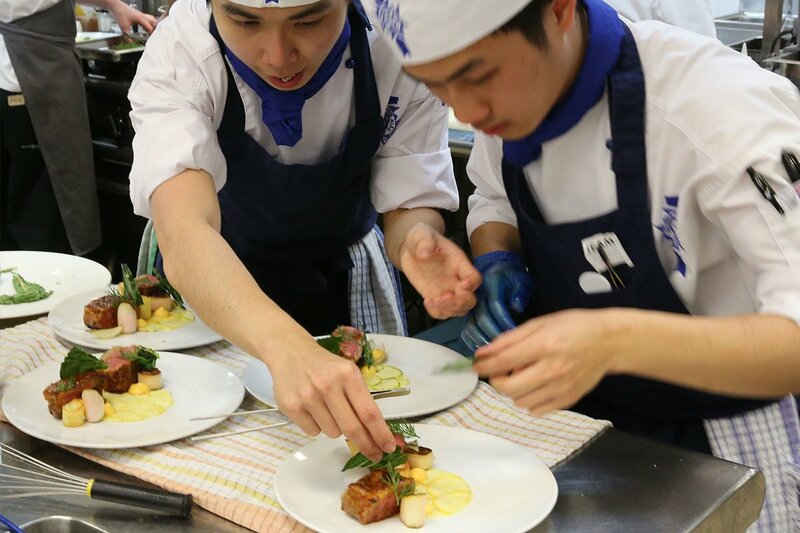 Congratulations to Le Cordon Bleu Sydney culinary students Tyler Khor and Davy Dai who won gold in the New South Wales heat of the Nestlé Golden Chef's Hat Award. 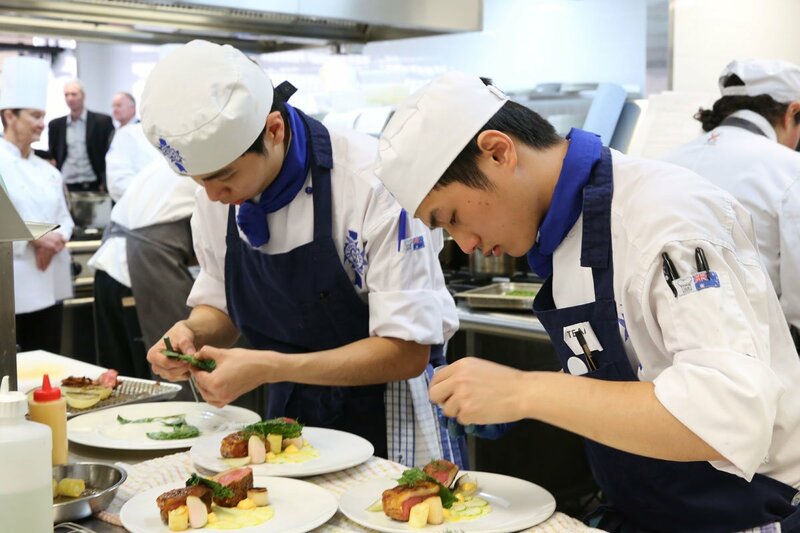 Tyler Khor and Davy Dai are both studying an Advanced Diploma of Hospitality Management at Le Cordon Bleu Sydney. They will compete in the National Finals of the Nestlé Golden Chef's Hat Award in September 2017. The national winning team will be awarded a culinary trip to Vietnam. All finalists have the opportunity to win medals for achievement in entrée, main and dessert course categories. 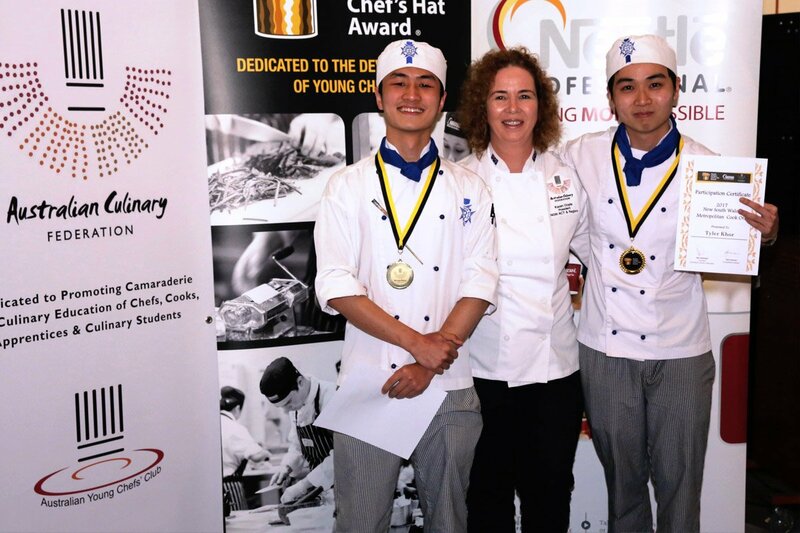 The Nestlé Golden Chef’s Hat Award is the longest running culinary competition in Australia and offers young chefs and apprentices the chance to compete against their peers and benchmark their cooking skills. It also provides the opportunity to be mentored by culinary instructors and access to a national network of professional chefs. Le Cordon Bleu congratulates these talented students on their outstanding achievement.